Do you dream of competing in the biggest land-based and online poker tournaments, yet can’t afford the hefty buy-ins that come with these events? If so, the best option for you is to play in the poker satellites offered at online poker sites. Online Poker Satellites allow you to win your way into huge tournaments at just a fraction of the cost. Assuming you’re interested in winning major money on a shoestring budget, you’ll definitely benefit by knowing more about satellites. Poker satellite tournaments work just like any other poker tournament in that there are chip stacks, eliminations and prizes; in the case of satellites, the prize is always a spot in a bigger tournament. Normally, satellites consist of levels where you advance to the next level if you qualify. For instance, if you buy into a $3 satellite, the top 10% of the field would move onto the $30 satellite. If you finished in the top 10% of this tourney, you’d move onto the $300 buy-in main tournament. As you can see, the main benefit to playing in poker satellites is that you avoid paying the huge buy-ins associated with most big money tournaments. Now that we’ve covered satellites basics, let’s look at why satellites can make you so successful. As mentioned before, satellite prizes are spots in a bigger tournament. And seeing as how many of the biggest events in both land-based and online poker offer satellites, these small tournaments can lead to big riches. The most famous satellite winner in poker history is Chris Moneymaker, who earned a $12,000 prize package through a $38 satellite at PokerStars. Moneymaker went on to win the 2003 WSOP Main Event, earn $2.5 million, and sign a lucrative deal with PokerStars afterwards. Other WSOP Main Event winners who won prize packages through PokerStars satellites include Greg Raymer (2004) and Peter Eastgate (2008). Of course, big winners aren’t just relegated to the prize package winners since many players have experienced success in big online events via satellites. Two of the biggest events in Full Tilt Poker’s FTOPS Series and PokerStars’ WCOOP see lots of big winners come from satellites. If you’re interested in turning a few dollars into hundreds of thousands or even millions, the logical step is to find these poker satellites. 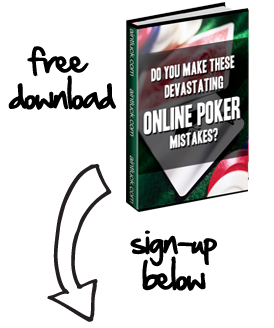 Doing so is easy since you just need to sign up at any of the major poker sites such as Full Tilt, PokerStars, Ultimate Bet, SportsBook, Party Poker, or Cake Poker. Once you’ve signed up and used a bonus code to get the maximum deposit bonus, start searching the lobby to find the satellites. It’s actually really easy! Best of luck on your poker satellite career..